I've been irritated lately. Exasperated even. Tiring of the seemingly endless containing of stuff. Shoes everywhere. Toys everywhere. Crayons everywhere. Fabric everywhere. Laundry everywhere. We have so much more than we need. So much. While we live without debt, it doesn't mean that the rising cost of EVERYTHING isn't little by little encroaching upon our budget. If I am mad at all the STUFF, I should be mad at the one buying all the stuff. So I decided to give myself a little challenge. To see what our house and our bank account would look like after one month of not bringing in anything new, or spending any money on non-necessities. No treats from the dollar section. No books for the Kindle. No gadgets for the kitchen. No more long and lean tanks or cardis from Target. No clothes for any of the kids. Just food, medicine, diapers and gifts. Let me just say, it was way harder than I ever imagined it would be. Going to Target. Not fun. Finishing my last book on the Kindle. Not fun. Being tortured by the pre-sale of the Flea Market Fancy re-print. Not fun. Deleting every single Groupon/ Groop Dealz/ Very Jane/ Pick Your Plum/ Zulily/ BabySteals email without even opening them. Not fun. But a week or so into the not-fun-ness of the challenge, it became sort of fun. A mental reframing to appreciate what we already have. To play with toys that have been forgotten. To wear clothes that seemed new again. To realize that we have more than we could ever need. It was good. So worth it. I dare you to try it. But the trick is to not make a running list of what you want and need and then go crazy once the month is over. That part is really hard. That would negate all the hard work of the month. This is a fantastic idea. Are you doing this for Lent or just because. Love it! I may have to try it myself. kind of feels good, right? and you are right, when you cut out stuff, the most important thing is to not substitute it with something else, or go hog wild when its over. I need to do this. I've been telling myself I need to do this. I could have written the first part of your post. Drowning in stuff, everywhere. Next month I'm doing it. Love it! Try your local library for free kindle books, I save a ton of money just by waiting a little and getting it for free. What a great idea! I unintentionally scaled back when we moved to the UK. No Target to shop in over here!! You need to sign up for Pixel of Ink. Free and bargain books for your Kindle. I only download the freebies. What a great idea! I'm so trying this... even though it's the 2nd week of March already... I can still do it for 24 days, right? PS Did it save you a decent amount of $$$? You didn't really say in your post. Very cool. 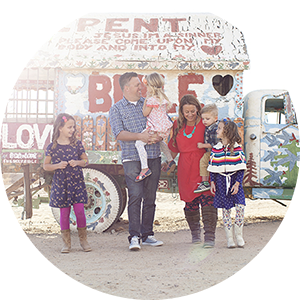 Have you read "Seven: An Experiemental Mutiny Against Excess" by Jen Hatmaker. If you havne't you will love it!! Amazing book - I've heard her speak live twice and she's speaking at our womens retret this weekend. yahoo! I'm ready to be challenged. LOVE this idea! I read this late last night and even dreamed about doing this. Yup I'm the one buying the stuff AND getting mad about all the stuff. Time for a change! Think I'm going to challenge my friends as well. Thanks! Someone already posted this but LIBRARY for kindle books. That is why I have a Nook... I use it solely for library books. You don't even have to truck kids to the library, you can do it from your computer. We are very anti-buying unless we have used up everything. The tough part is getting the grandparents on board. I bought those same leggings last week, after seeing them a couple weeks ago and not in the size we needed. I challenged myself for the month of Feb. to not visit any fabric or craft store broke my rule once for a $.50 cookie cutter at hobby lobby. Not as bad as I thought it would be. it is hard. we started doing this a few years ago, i get off track and feel the mess moving in. We then clean out and start new. I did this just about a year ago. Nothing but necessities. Not even a single Starbucks while shopping for groceries at Target (I think that was the hardest). No dollar spot. This came after realizing the embarrassing amount of stuff in my craft room and all the dollar spot hoarding, etc. It felt really good. But thinking I'm in need of doing it again. Thanks for the reminder! Way to go! You need to read my friend, Kate's new blog. She is trying to go an entire year of no unnecessary spending. She is a clever writer so it is a fun read. I especially love her post about Target. That Is a really good challenge ! My challenge presently is not to buy any (I cheated 2-3 times in the last year) new frabic or yarn until my stock really decrease ! That needs a lot of creativity, but that helps me not to have a super big to-create list ! One thing that did not helped me is that 2 times a received 2 big bag of fabrics. My stock is really not decreasing !! I'm so glad you posted this because it's something I've been thinking about a lot lately for our family. You just gave me the encouragement to do it! I am doing the same thing this month! Though we have a very modest budget I still find ways of buying things we don't need. My daughter now tries to hide the Easter candy aisle at Target from me saying, "don't look, mom! Remember our budget!" Glad to see she's learning something, aside from the fact that her mom has an insatiable sweet tooth! I've done a no spending month before - it's SUPER hard! I've also been borrowing books from my local library for my app on my ipad. It's a great feature, and no money spent! Are there any books you're coveting? I might have some from my library I can send you! i've been doing this for a while...well, trying to at least. it's freaking hard!! when the twins were smaller i would by them anything and everything. so stupid. especially since they didn't NEED much of it, iiiiiiiiiiiiiiiii WANTED it. so stupid. i didn't go nutso crazy, but i didn't live within our means, either. so now i'm paying it off. bleh. but i've improved leaps and bounds! yay! I've been doing this very thing for going on 3 months now. Being a single mama is hard work! But I'm getting through it. I miss buying 'stuff' all the time.. especially with Spring just around the corner. But bills and necessities are far more important. I'm happy to report that I've only cheated ONCE. I bought the kids each a $10 toy from Target last month. Target gets ya every time, I tell ya! I'm just trying to stay away.. hahaha! I did this for three months during the summer of 2010. It was HARD. But my car was dying a slow death and I knew I had to buy a new one. I didn't save enough to pay for the whole car, but I did save enough to make a big downpayment. It's freeing not to have so much stuff. This is amazing - and I can't imagine how "refreshed" we would all feel if we took it upon ourselves to do this. Very inspiring! I definetly consider rainbow leggings a necessity. Cheers to you for doing this! I have a friend that has a kindle and she finds so many free books online she doesn't really buy any. And most of them are newer, good books. I love this, Julie. I've been feeling overwhelmed with all of our stuff lately, so I think I may have to challenge myself to a month of only buying necessities like groceries. I suppose the stripped leggings for Kennedy were under the "gift" section :) I need to do this. I'm totally grossed out by all of our "stuff" too. And btw, did your bank acct or house look different at the end of the month?? Totally worth the $5-- it's not like they were $50 and sometimes you need a treat! I came down with this feeling as well a few months ago and started a list. One item in one item out and so far have stuck to it that if I use one thing up thats another thing I'm able to buy, it has helped encourage me to go through old things and be aware of what I am buying. Great post. Can I ask where the leggings came from? May I ask, where did you find the leggings? I found them at Target. The most dangerous place for a no spending challenge. I found them at Target in the little girl's section. How could I not get them? Yes! The bank account and the husband were very, very happy. The house is still crazy. I think I need a no buy/ total purge month now.